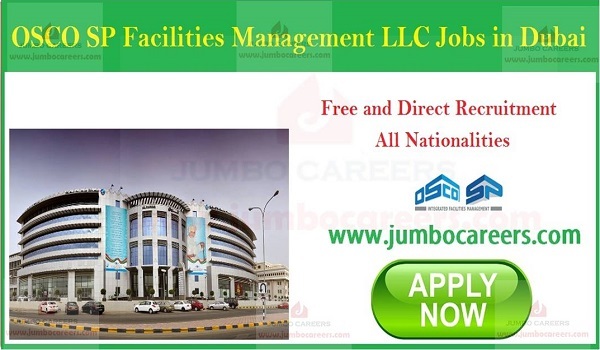 Leading facility management provider OSCO SP Facilities Management Dubai conducting latest walk in interview at Dubai for hiring 35 vacant positions. Its free and direct recruitment by the company. Location : Office #321, 3rd Floor, City Bay Business Center, Abu Hail, Dubai.